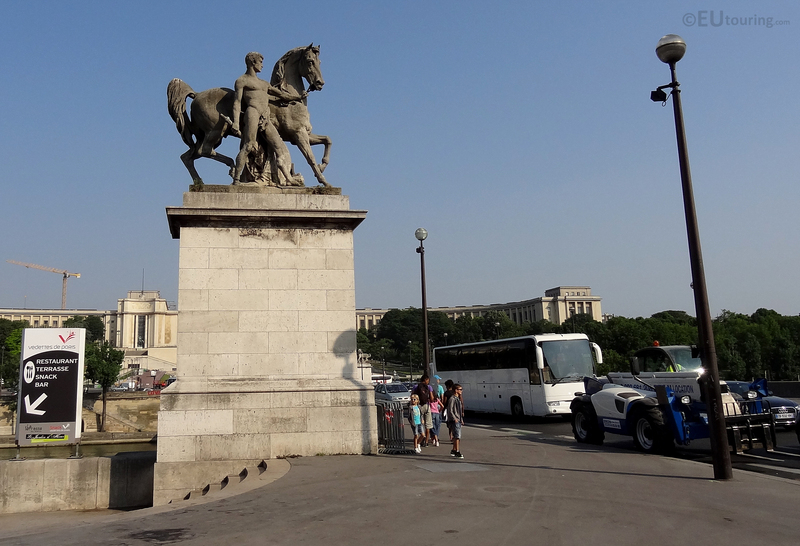 This statue is called the Roman Warrior and is one of four found on the Pont d’Iena bridge in Paris, giving a feel for just how large it is compare to the family in the photo. 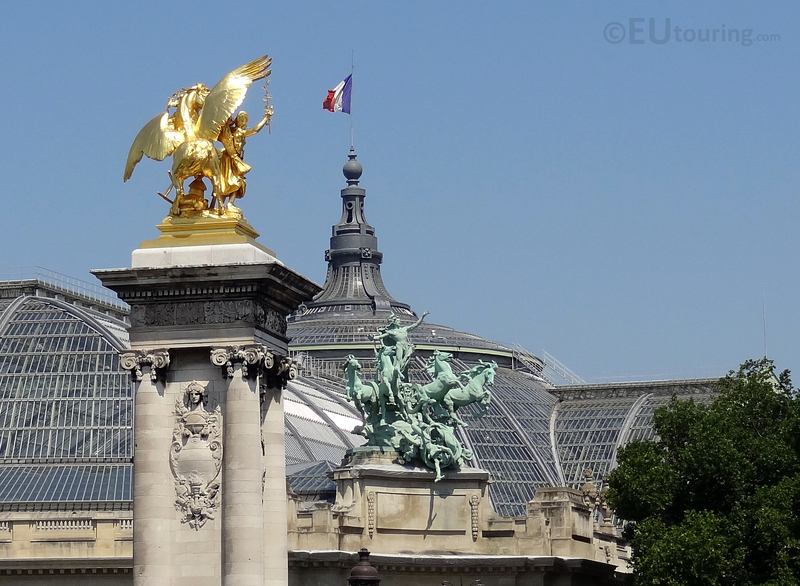 The glass and steel roof of the Grand Palais – the largest of its kind and style in the world with a golden statue of the Pont Alexandre III in the foreground. 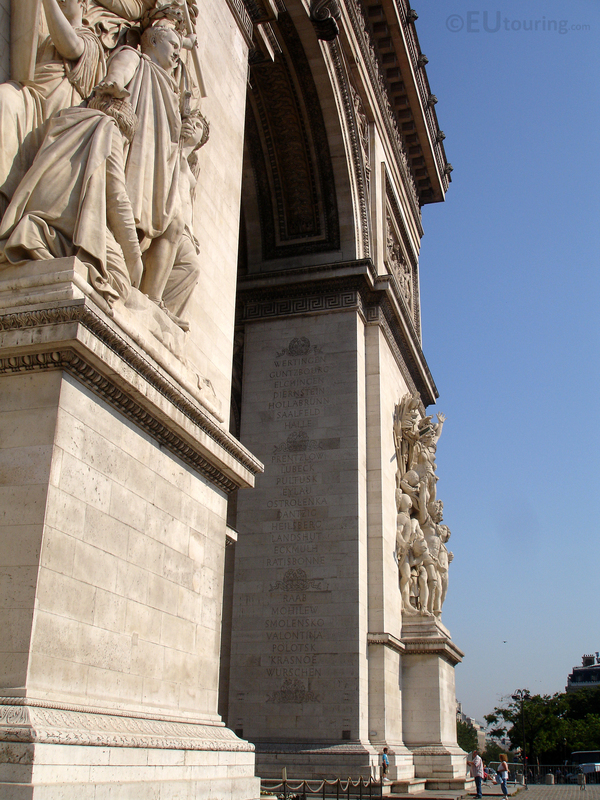 Throughout the Pont des Arts bridge you can find a wide variety of locks which may catch your eye, including some larger ones such as this large heart lock which seems massive in comparison to the surrounding locks.